The Times of Israel reports: Israeli troops arrested eight Palestinians, including the sister of a terrorist who murdered a teenage girl in the settlement of Kiryat Arba, in overnight sweeps in the West Bank, the army said Sunday morning. 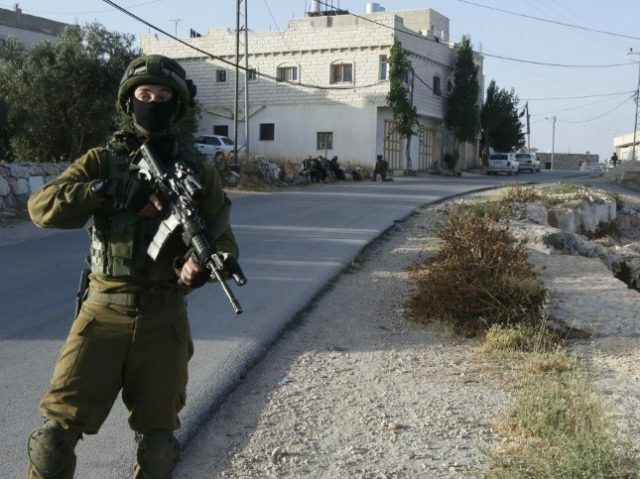 The army said in a statement that the arrest of Lara Tarayrah of Bani Na’im, a village near Hebron, was part of its crackdown on incitement and support for terrorism. On Thursday, Tararyah’s brother Muhammad Nasser Tarayrah, 17, stabbed and killed Hallel Yaffa Ariel, 13, as she slept in her bed in the West Bank settlement of Kiryat Arba, adjacent to Hebron. He was shot and killed by guards who responded to Ariel’s screams.